Cao Lau is a classic Vietnamese dish, and more precisely the speciality of Hoi An. This dish exists since the 17th Century and its influence comes from the different communities that lived in Hoi An (French, Chinese, Japanese etc…). And for this reason, you will not find it anywhere else in Vietnam. This dish holds its name due to the famous noodles named Cao Lau. In Cao Lau, you will find the following ingredients: Cao Lau noodles, slices of pork, Soya, lettuce, crackers and some mint, All of it is added in the Cao Lau broth. Lemon is also added in most cases. L’eau du Cao Lau provient, selon la légende, du puit Bale Well situé rue Tran Hung Dao ( Prés du restaurant du même nom ). Tradition dictates that the whole is mixed before serving so that all ingredients are absorbing the sauce. 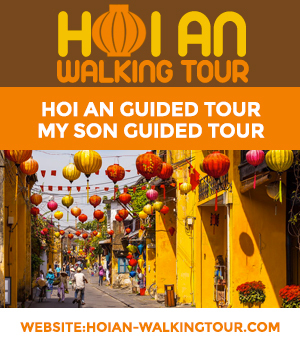 Where to eat a good Cao Lau in Hoi An? One of the best address remains in the Hoi An Central Market. The recipe is carefully followed and you won’t have any bad surprises. Many street stools offer Cao Lau.